MoviePass just brought back its hugely popular $9.95 a month plan that lets subscribers see one movie every day. The MoviePass website was updated Wednesday to once again offer the deal. "The demand for this unlimited plan is incredible, and we have a clear path to even stronger growth," MoviePass spokesperson Stephanie Goldman said in a statement. Subscriptions for MoviePass have soared since its movie-a-day plan was first offered in August 2017. Though MoviePass has lost money on the service, it hopes to reach profitability by eventually selling more advertising and selling user data to third parties, MoviePass CEO Mitch Lowe said in a January interview. The movie-per-day offer disappeared from MoviePass's website in mid-April. It was replaced with a deal for a free trial of the iHeartRadio All-Access music streaming service but limited pass holders to 4 movies per month. It remained at the $9.95 per month price point. Days later, a regulatory filing from MoviePass' majority owner, Helios and Matheson Analytics (HMNY), said MoviePass has "incurred losses since its inception." "To continue to support the business objectives of MoviePass, we have a present need for additional funding, which may be unavailable to us," the filing read. When reached for comment, a MoviePass spokesperson could not immediately answer questions about whether additional funding had been secured. Related: Is MoviePass too good to be true? The company has also floated other steep discounts, including an annual subscription plan that equaled out to $6.95 per month. But MoviePass must pay theaters for tickets every time a pass holder goes to a movie. So, the more its customers use their passes, the more money MoviePass loses. And the company buys a lot of tickets: one out of every 17 movie tickets sold in the United States is purchased by MoviePass, according to a recent public filing. Even as its customer base has ballooned, Helios and Matheson's share price has tanked. It's down more than 66% since January 1. Nevertheless, Helios and Metheson CEO Ted Farnsworth says he is "100% confident in the MoviePass model and the impact we are making in the entertainment industry." 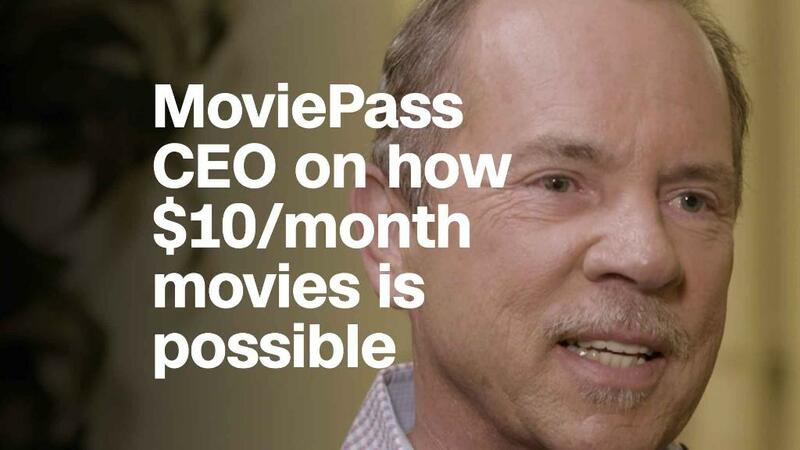 "The success point for MoviePass has always been growing a subscriber base that could be analyzed in data sets to highlight consumer trends to studios and industry partners," he told CNNMoney last month. The company reiterated its optimism on Wednesday. "We're confident in our model, and we're looking forward to continuing to deliver great value to all of our members," a statement reads.